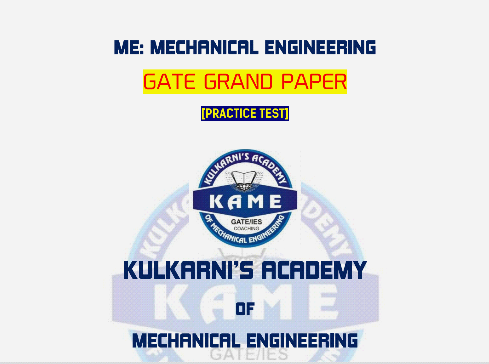 Download free test paper by "KAME" Kulkarni Academy of Mechanical Engineering. KAME is an institute exclusively for Mechanical Engineering. This institute is run by one of the most popular Mechanical Engineering Faculty in India. Download Test Paper and Solution from below given Link. Your Like and Share motivate us to post more such useful Test Paper. So, Please Like & Share it.